The untrained eye would look back on 2017 as a bad sign for the future of film due to the stagnating box office numbers throughout the year. To an extent, this cannot be denied. However, this past year has undoubtedly been filled with wondrous and profound pieces of art from every conceivable genre, and will certainly go down as one of the best years in film in recent memory. Because of this abundance of artistry that nestled into the deep crevices of the past year, I reasonably did not get the chance to see every noteworthy film of 2017. Some of these include The Lost City of Z, BPM, God’s Own Country, Brawl in Cell Block 99, and many others. Some of these films may have populated your minds as some of the best of the year, so I did not want to leave them off of my list without reason. Lastly, before we get into the list, there is a multitude of films that I would like identify as honorable mentions. I had the fortune of seeing around 50 films from this past year (most of which were good), and I would not want to relinquish an opportunity to recognize their brilliance despite them falling just short of my list of favorites. I honestly considered upwards of 30 films for this list. Those missing from the list include films such as Star Wars: The Last Jedi, Split, The Meyerowitz Stories (New & Selected), Brigsby Bear, Thor: Ragnarok, The Disaster Artist, Mudbound, I, Tonya, Three Billboards Outside Ebbing, Missouri, and many more. Now, without further ado, here are my top 15 films of 2017. To be honest, it is shocking that this film was even made, not to mention have a $30 million budget. In possibly his most controversial and polarizing film to date — and that’s saying something — Darren Aronofsky displays his mastery in storytelling and visual terms, fleshing out an incredibly intricate allegorical epic that builds and builds tension as the film progresses. Many different interpretations of the symbolism of the story have gained prominence, from Aronofsky’s interpretation of the Bible to a commentary on art itself, the film’s unique storytelling style finds a way to affect every viewer differently. 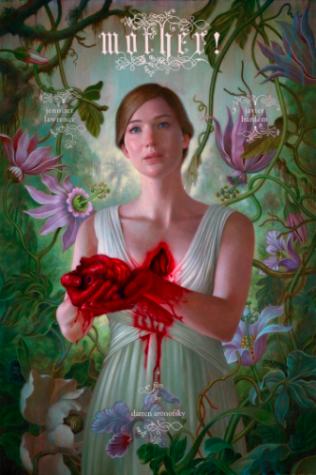 To go along with this, Jennifer Lawrence brings her best performance to date, and Javier Bardem backs her up with an inimitably mysterious presence throughout the film. Simply put, regardless of your opinion of the film’s message, it cannot be denied that mother! is a timeless masterstroke from a true auteur. This film would be most aptly be described as peak-Aaron Sorkin. Not to say that it is his best film, but to say that in his directorial debut, Sorkin brought the screenwriting flair and riveting subject matter that he is renowned. 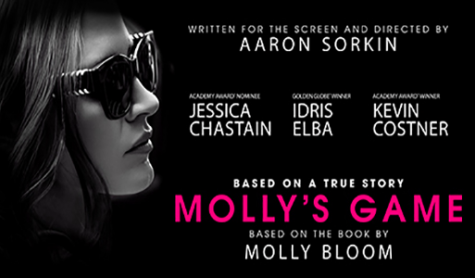 The film depicts a former Olympic-level skier by the name of Molly Bloom (played by Jessica Chastain) who, after injuring herself in the Winter Olympic trials, finds herself running underground high-stakes poker games for her boss, and eventually on her own. Billionaires, Wall Street tycoons, famous actors, and even members of the Russian mob find their way into her games, and she struggles to keep illegal activity out of her operations as the years go on. Sorkin fleshes out this story in a way only he could: a dialogue and voice over heavy script full of quippy lines and witty retorts that effectively mirror the speed and uneasiness of Bloom’s quest for wealth. This film’s success relies heavily on the performances, and Jessica Chastain, Idris Elba, and Kevin Costner bring their best. Overall, this film provides an exciting character study of a relatively unknown individual of recent history and never brings a dull moment throughout its 140 minute runtime. With this film grabbing award nominations left and right throughout these past few weeks, Guillermo del Toro is unquestionably back to his best. 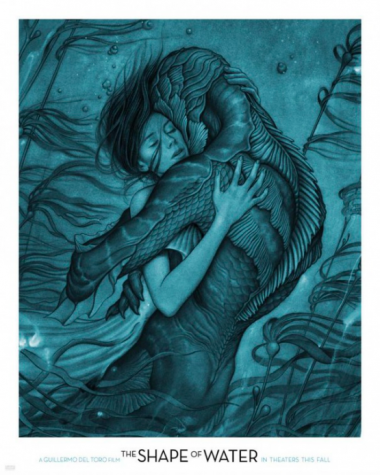 Del Toro’s entirely unique love story creates a mystifyingly dark, Cold War-era atmosphere with a splash of Creature from the Black Lagoon. This one-of-kind mixture exudes themes of the humanity of monsters, and allows for each viewer to make their own interpretation of what the monster represents to them. This environment as a backdrop allowed the actors to thrive across the board, as the performances were the true triumph of this film. Sally Hawkins manages to be voiceless, yet strong and energetic throughout, while Octavia Spencer as her partner-in-crime takes care of her and is certainly the funniest character in the film. Michael Shannon is truly menacing and deranged in one of the most underrated performances of the year, and Richard Jenkins brings an eccentricity and tenderness that allows him to survive in often one-sided dialogue with Sally Hawkins. Doug Jones as the monster thoroughly proves in this film that he is to nonhuman characters with heavy makeup what Andy Serkis is to motion capture. Overall, the film thrives through its performances and the brilliant directing of del Toro, and is certainly one of the most unique films of 2017. With Sicario, Hell or High Water, and now Wind River under his belt, Taylor Sheridan has thoroughly proved himself as possibly the best screenwriter around. As the director and writer of Wind River, Sheridan continues to define the modern Western. 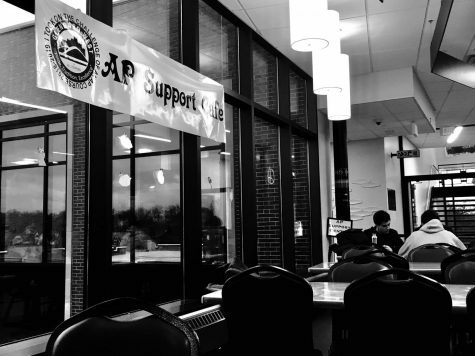 His stories of little known disenfranchised populations and their microcosmic struggles continue to shed light on issues people don’t generally talk about. With this film, Sheridan explores the culture of destitution, hopelessness, and sexual harassment that plagues today’s Native American reservations as a backdrop to a unique and tense murder mystery. 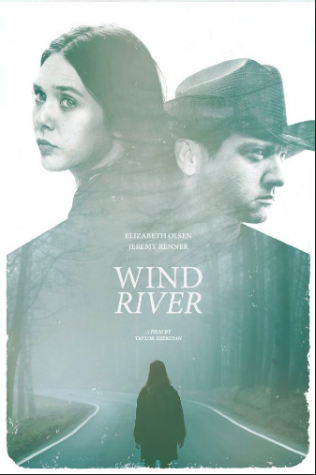 Jeremy Renner and Elizabeth Olsen give possibly their best performances to date, with Renner as a master hunter/park ranger type character and Olsen as an outsider FBI agent. The film effectively portrays the palpable tension between white outsiders and Native Americans, in addition to the inescapable depths that the reservation lifestyle can pull its youthful residents down to. To go along with this, the film contains possibly the most tense and riveting gunfight in recent memory, equal to the particularly memorable one on the border crossing in Sicario. The heartbreaking story of Wind River provides an insight upon a world which many have forgotten in addition to its intriguing story, thoroughly cementing it as one of the most thoughtful films of the year. This just came out of nowhere. 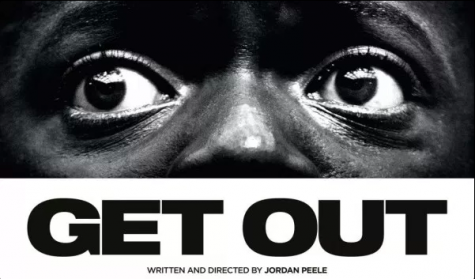 With a budget of only $4.5 million, as well as being the screenwriting and directorial debut of comedian Jordan Peele, on paper this film looked like it would be out of the theaters in a week. It did exactly the opposite. With some good momentum from a thrilling trailer that blew up on social media, the unparalleled racial horror film finished its worldwide box office run with a staggering $254 million, more than any other debut film with an original screenplay in history. The true success of the film came from its originality. Peele manages to capture both ends of the racism spectrum in way never brought to film before, simultaneously capturing the subtlest racist moments to the most extreme ones. Brilliant performances from Daniel Kaluuya, Allison Williams, Catherine Keener, Bradley Whitford, and comedian Lil Rel allowed the extreme premise of the film to thrive. While it could be categorized as a horror film, Get Out successfully avoids the annoying horror tropes, and through its human-based story escapes the stupid supernatural elements that many horror films try to communicate. With this though, it still carries an incredible originality and thrilling storyline, making it one of the most widely beloved films of the year. It seems that as each year goes by, more and more superhero films get added to the plethora of titles that get pushed out by big-money studios. One good thing that has seemingly come from that is a certain contempt held by some directors for this very practice. Logan director James Mangold openly declared his disgust for the nature of superhero films today, and used that feeling as a major promotion point to attract avid fans with the same feeling. In his attempts to break the superhero film mold, Mangold utterly shattered all expectations with Wolverine’s swan song, Logan. The film explores mortality and aging in a way never before seen in a superhero film, or any film for that matter. Hugh Jackman earnestly portrays a once powerful dying mutant in a post-mutant future, alongside the Alzheimer’s-ridden supermind of Charles Xavier played by Patrick Stewart and the mysterious young mutant played by Dafne Keen. In past films, it must have been very difficult to keep a man with knives growing from his hands very PG. Mangold completely does away with this censorship, bringing the violence and gore expected from combat with Wolverine (Logan). This R rating allowed the freedom for the director to explore the darkness of Logan and Charles’ last days, which in turn only acts as a brilliant foil to the honorable path they turn to as the film progresses. On the surface, Lady Bird is your basic, run-of-the-mill coming of age story. And while it is certainly a coming of age story, this description fails to address any of the depth and vigor that the film carries with it. This is Greta Gerwig’s first credit as a director, and by god was it a great start. What she has done with Lady Bird is inject one of the most convention-bound and comfortable genres in American cinema with novelty and surprise. She instills in her characters a sort an overwhelming sense of truth that allows each and every one of them to be loved by the audience in spite of their numerous flaws. 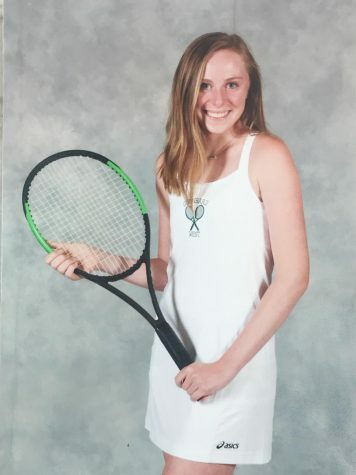 This is best reflected in the lead, played by Saoirse Ronan, as the character of Christine (or as she calls herself, “Lady Bird) would be utterly futile if the teenager at its core weren’t so incredibly engaging, as it allows her flaws to be as captivating as her sincerity and vulnerability. This same sincerity is reflected in her father, wonderfully portrayed by the surging Tracy Letts. Her determination and tenacity is reflected in her mother, in one of the supporting performances of the year, by Laurie Metcalf. 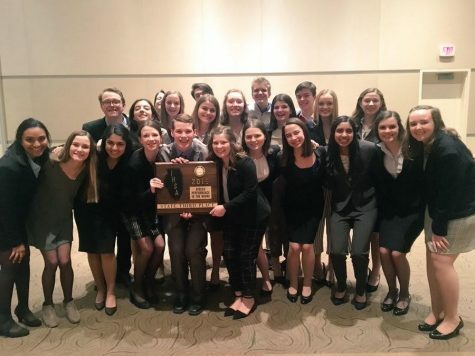 The film beautifully handles the emotional cyclone of adolescence, the strained yet unbreakable connection of teen and parent, and the downsides of parenting with guilt. Most of all, it is a reflection on the regrets of not opening up, of not making an effort to better a parental relationship, and of the clarity that separation from one’s family can bring. 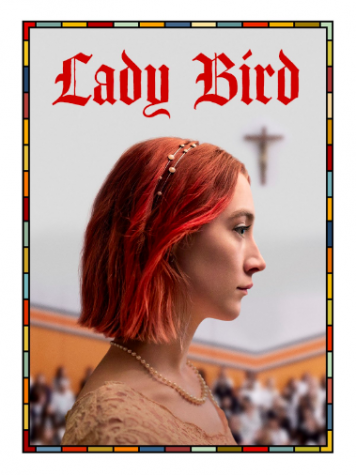 To sum up it up, Lady Bird can be most aptly described as a surprisingly wonderful diamond in the rough that gets at the truths of life unlike any other of its kind. In possibly the most unsettling film of 2017, Yorgos Lanthimos again succeeds with his entirely unique style as previously displayed in The Lobster. The emotionless and macabre characters through the first hour separate the world of the film from our own, and beautifully set up the disconcerting acts to come. From there, the life of main character — a skilled cardiologist named Steven Murphy played by Colin Farrell — spirals into pandemonium and suffering in a manner I quite honestly have never seen before. Coupled with the ominous performances of Barry Keoghan and Raffey Cassidy, the wholly disquieting environment and voyeuristic cinematography (courtesy of Thimios Bakatakis) brings The Shining to mind more than any other film preceding it. This film thoroughly exemplifies what film as an art form can be: a manner in which we can explore concepts in realities much like our own, but with the slightest of alterations, in order to evoke complex thought and emotion within us all. 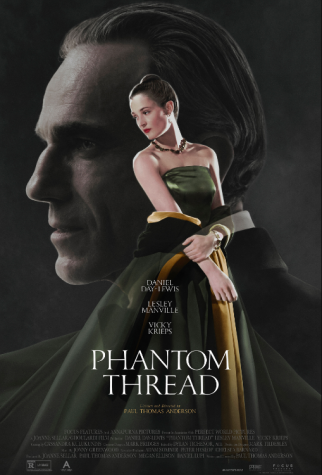 Phantom Thread is an incredibly layered and requires the audience to independently grasp at the emotionality and motivations of the characters and their interactions. Paul Thomas Anderson’s meticulous and elegant direction creates an entirely seductive and absorbing environment wrapped tightly in a remote nostalgia and romance. The performances of Daniel Day-Lewis, Vicky Krieps, and Lesley Manville thoroughly reflect this disciplined elegance beautifully, sometimes with harsh and anger-filled words javelined at one another, other times with a raw emotionality that breaks the thick membrane of both self-indulgence and self-restraint. The variance across the spectrum of scenes is only built on by the wonderfully passionate score by Jonny Greenwood, which uses a common motive with varying levels of vigor and intensity to mirror the actions on screen. The story has an incredibly rich density to it with a silky elegance and fastidious concentration on vestiary and reverent detail. The roles of characters swap constantly, often forcibly within the story, pressuring characters to change in often brutal ways in order to recognize connection. In summation, Phantom Thread is as perceivably high-brow the art form can get in some moments, yet it uses this tightly wound string as a warning for the string to snap, as it does masterfully throughout the film. As a whole, this film could be most aptly characterized as authentic. 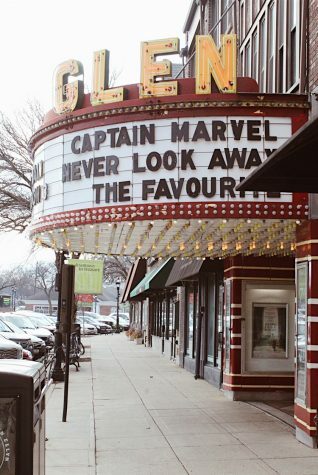 Films about poverty are often focused on the wrong aspects of the lives they portray, and too often come off as overly condescending and prurient to a point of offense. The Florida Project is a vibrant portrait of life on the squalid outskirts of America, as is the theme of previous Sean Baker films. 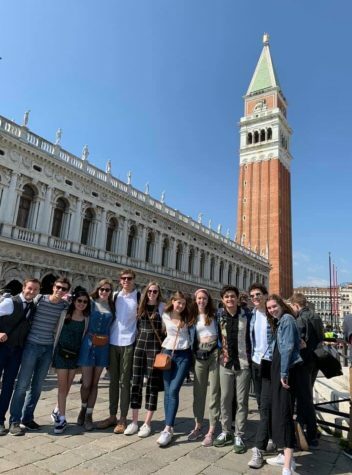 In particular, this one is based within a conglomeration of budget motels on the fringe of the international tourist hub that is Disney World in Orlando, Florida. 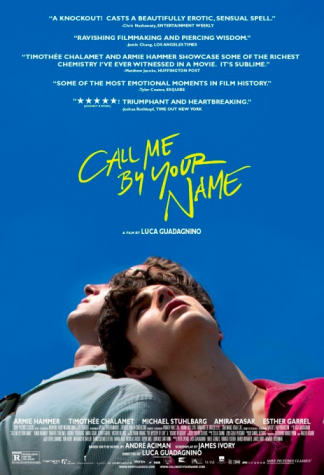 The brilliance of this film is a simple one, one that doesn’t make any judgement of any character at any time and instead allows for the truest of emotions to reveal themselves through the brilliant performances of Brooklynn Prince as Moonee, Willem Dafoe as Bobby Hicks, and Bria Vinaite as Halley, Moonee’s mother. Oh, and did I point out that two of the actors I just mentioned had virtually never been in a movie before? Brooklynn Prince is only seven years old, and brings a performance that seems as if it would be impossible to direct. Bria Vinaite was literally an Instagram model, and had to go through three weeks of acting classes before they began shooting the movie. Of course, Willem Dafoe has been around for a very long time, however he may have just brought his best-ever performance in this one, and he is rightly receiving the recognition for it through an Oscar nomination. Baker outdoes himself with this one, as he somehow directed/wrote the characters of Moonee and her friends with a childlike innocence and sense of adventure despite their destitute circumstances in a way that has yet to be portrayed on film so accurately. To me, the best films deal most prominently with life, whether questioning it or framing it to examined and given meaning by its audience. This idea is the very essence of The Florida Project. There are very few war films in the history of the medium that have been able to successfully subvert the tropes of most other war films. Among these I would include Terrence Mallick’s The Thin Red Line, Elem Klimov’s Come and See, Francis Ford Coppola’s Apocalypse Now, and a few others. Now, it is safe to say we can add one to the list with Christopher Nolan’s Dunkirk. 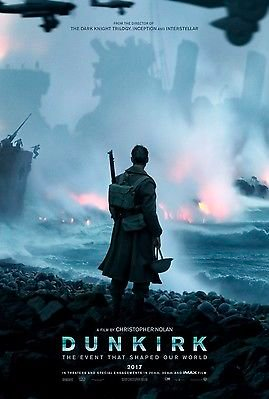 The themes that characterize most of Nolan’s previous films are his ability with complex nonlinear storytelling and suspense, both of which are done to masterful levels in Dunkirk. He never departs from the entirely subjective storytelling around various aspects of the WWII event to create a coherent picture of the large events that need telling. This film never stops to jump to politicians strategizing or to soldiers around a campfire talking about back home, allowing it to build up its suspense continually across its two hour runtime and focus on the action at hand. In fact, the film’s score uses an auditory illusion called the Shepard scale, which allows it to sound as if it is continually getting higher and higher without actually doing so. This gives the film a sort of ticking clock in the background at all times, keeping the suspense at maximum levels throughout. To go along with this, Dunkirk actively avoids glorifying war, instead choosing to show the horrific nature of the event itself, while celebrating the bravery of those involved and the effect it had on the outcome of the war. At this point, Christopher Nolan has thoroughly cemented his place in cinematic history as one of the greatest directors in history, and Dunkirk only solidifies that. Let me just preface my ovations of this film with the fact that David Lowery’s A Ghost Story was made for the measly sum of $100,000. 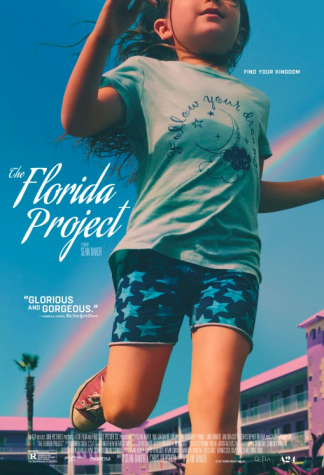 In comparison, the budget of The Florida Project, another relatively small film, was made for over 20 times that amount. Films of this size are not uncommon, however films of the size are not commonly able to achieve as grandiose a scope as A Ghost Story does. One’s response to this film largely relies on one’s capacity to reconcile its artsy loops with its tremendous sentimentality quotient. The title of the film suggests jump scares and found-footage follies, however A Ghost Story is in no way built to frighten. It is instead an approach to tackling the passage and immensity of time itself, and our roles as humans within it, an idea that may indeed haunt you anyway. This approach demands patience and an active and open mind from the audience, which, if put into practice, allow the audience to reap profound the philosophical and emotional rewards of the film. 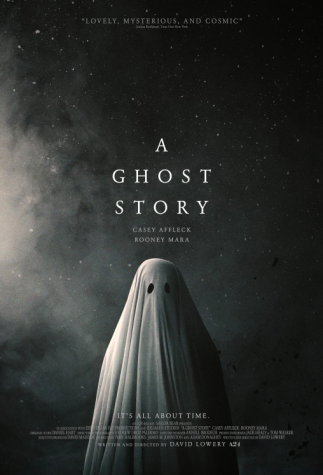 The “ghost” aspect of the film comes from the almost guileless and obvious portrayal of a ghost in a movie, as the film primarily follows the perspective of a man covered in a literal white sheet with holes for eyes. This quirky and unique style is continued in the film’s aspect ratio, as the 1.33:1 frame leaves the feeling of being trapped in a box for eternity, an idea that manifests itself in the actual film as well. The simplicity of the film’s primary layer, combined with its incredible complexities of humanity and its relationship with time and loss that lay underneath create an incredibly enriching viewing experience, and one that will not leave your mind for a long time to come. If it weren’t for Blade Runner 2049, Columbus would easily go down as the most beautiful film of 2017. Columbus is a more simple beauty, one that captures the unique elegance of a small town in Indiana called Columbus. 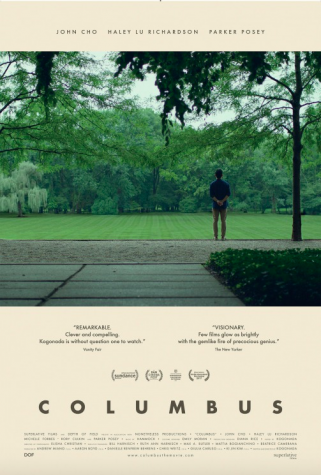 The plot revolves around the serendipitous relationship between Jin (John Cho) and Casey (Haley Lu Richardson), as they explore the various architectural buildings in Columbus all the while discovering in each other what they hope to be. In his directorial debut, relative unknown Kogonada paints a beautiful image highly reminiscent of Yasujiro Ozu’s work, characterized by asymmetrical balance and moments of silent reflection and splendor. To go along with this, Kogonada is frequently able to break the bounds of traditional composition and camera placement, framing his characters within physical frames much like Wong Kar-Wai. 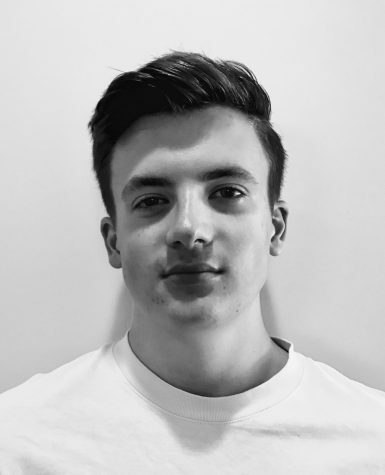 He treats the relationships and issues in the film with love and tenderness, effectively questioning the ideas of maturity, familial obligations, and artistic connection to one’s emotions. He always prefers to show-not-tell, leaving much to the eye of the beholder. This is in no way a negative, as it allows the audience to contemplate the emotional resonance and philosophical sophistication of the themes of the film, while simultaneously looking at the extraordinary beauty of the imagery. Blade Runner 2049 is an utter revelation. A miracle. A tour de force. A masterstroke from a true auteur. A flat out all-time-great. With this film, Denis Villeneuve has barged his way into the conversation of the all-time greatest directors. To make a film that is so philosophically rich and visually stunning while simultaneously building upon the world and metaphysical themes of its already masterful predecessor is only possible within the hands of Villeneuve. He is able to simultaneously entangle the questions of what makes us human and what happens when we lose our humanity, make allusions and parallels to Kafka and Nabokov, broaden an already fascinatingly dark world established in Blade Runner into a more expansive and desolate one, and create arguably the most visually beautiful film of all time, with the help of a certain Roger Deakins. The score only adds to this, as the waxing and waning retro-synth compositions are a clear homage to the original’s Vangelis score, and always add to the scene. 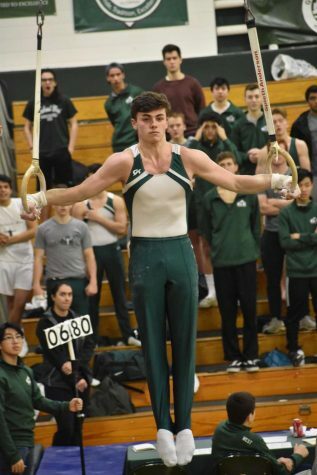 Each and every performance is similarly spellbinding, as the likes of Ryan Gosling, Harrison Ford, Sylvia Hoeks, Robin Wright, and others wholly command the screen. The film lacks any sort of predictability, and its 163 minute runtime (a downside for many) was a revelation in of itself, as it allowed for Villeneuve to fully flesh out his themes and put to screen as many striking tableaus as possible. Simply put, Blade Runner 2049 is as spectacularly beautiful as The Tree of Life and 2001: A Space Odyssey, and as existentially powerful as The Brothers Karamazov and Pale Fire. 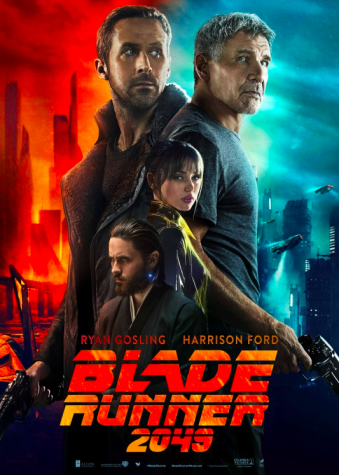 It is depressing to think about how a film of its magnitude and complexity will likely never receive the same lofty budget that Blade Runner 2049 did, but at least we can treasure this one for decades to come.